If you’re looking for a London event venue with a difference for your next corporate or private event, then look no further. Fashionably located in South Kensington, the award-winning Science Museum offers you a first-class event experience. The award-winning galleries at the Science Museum provide a wow-factor backdrop for all events. The range of venues, as diverse in size as subject matter, can accommodate occasions from intimate banquets to a dance and dinner for up to 400 guests For corporate events including conferences, gala dinners, award ceremonies, product launches, Christmas parties, exhibitions, press briefings, film premieres and team-building we have a range of innovative and interactive galleries, as diverse in size as subject matter. The 414-seat IMAX Theatre and a 700 square metre blank-canvas space are also available for daytime or evening corporate hire, as well as smaller dedicated daytime conference facilities such as the elegant Directors Suite or the contemporary and wired Dana Centre. For private celebratory events, including engagement, wedding, anniversary or retirement parties and bar or bat mitzvahs, the stunning Museum galleries, ranging from the traditional and elegant to the contemporary and interactive, are available to hire after 18:00 daily. 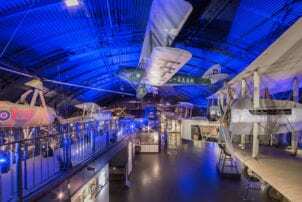 As an internationally renowned, unique London venue the Science Museum will spoil you for choice time and time again. The finest industry suppliers, all fully accredited by the Museum, alongside the experienced in-house events team, will deliver the perfect event, whatever your occasion. Branding and cost-effective entertainment options, all inherently unique to the Science Museum, are also available. From guided tours or motion-theatre rides, to gallery-related character actors mingling with your guests, we have the right chemistry for a truly memorable event.